Louis William Chapin II, FAIA, was born September 20, 1941 in Rochester, NY. He attended The Lawrenceville School, a preparatory school in New Jersey, gradating in 1960. He then entered the University of Virginia, obtaining his Bachelor of Architecture degree in 1966 with a year of study at the School of Architecture in Oxford, England. 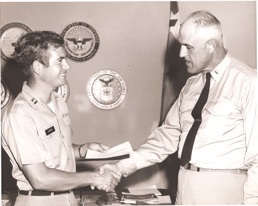 After graduation, Chapin entered the U.S. Army and attended officer candidate school. He received his commission as a Second Lieutenant in the Corps of Engineers and was assigned to Thailand where he served as Commander of the 589th construction detachment for 18 months. He was then assigned to duty in Washington, DC where he served as Officer of Construction in charge of several large building projects at Walter Reed hospital, and was awarded the AFIP Distinguished Service award. In 1970 he was honorably discharged from the Army with the rank of Captain. After his Army discharge, Chapin returned to his home in Rochester, NY, and for nine years managed Vanlab Corporation, a family owned food flavor manufacturing company with plants in New York and Minnesota. Concurrently, he established a construction company, which grew to 23 employees. Along with undertaking construction work for others, he purchased and rehabilitated a number of large homes in the urban renewal district of Rochester, which were converted into affordable apartments. Vanlab was sold in 1979, and the construction company the following year. Chapin then turned his full attention to the practice of architecture. In 1996, he and his family relocated from Rochester to Daytona Beach, Florida. Chapin married Carol Carnahan in 1984. They have two children, James Wisner Chapin and Christine Kamps Chapin. Jamie has completed his sophomore year at Northwestern University, and Christie is a freshman at the School of the Art Institute of Chicago. Chapin’s primary extracurricular interest is golf. He was a member of the University of Virginia golf team while in college, has won a number of amateur competitions, and was a scratch player for many years. Other interests are collecting automobiles, tending to an extensive Bonsai collection, writing, and creating sculpture in timber, stone and steel. In 1980, Chapin established a sole proprietor practice and remained in that business model for the next ten years. During that era, Chapin received five Rochester AIA design awards, two New York State design awards. Two projects were awarded listing on the National Register of Historic Places. In 1990, Chapin joined with Victor Tomaselli, AIA, to form Chapin Tomaselli Architects, PC in Rochester, NY. The firm focused on residential, light commercial and medical buildings. The firm was appointed as design consultant to the Strong Memorial Hospital, one of the largest such complexes in the state. In addition, the firm designed two medical campuses: Westfall Medical Campus 1 & 2. Following his work with the Foundation, Chapin moved back to Daytona Beach in 2000 and resumed his architectural practice. Some of his work since reconstituting his firm includes several oceanfront residences, a doctor’s office, an orthodox church, a 94 bed homeless shelter, and a 16 unit mentally disabled apartment complex. He also was commissioned by the National Board of Realtors to create and administer an architect selection competition and to monitor the construction of their new $55 million Washington, DC headquarters facility. Chapin has also acted as architect and developer for a 300-bed college dormitory and a nine-unit townhouse project. He has just completed a Master Plan for Bethune-Cookman University. 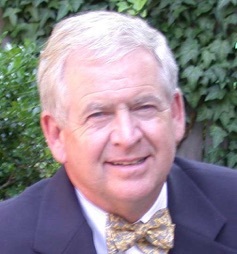 Throughout his career, Chapin has written articles on architecture and related subjects, including several for the Rochester Democrat and Chronicle, and a series of thirty articles for the Rochester Business Journal. He has just completed a historical novel that takes place in post-revolutionary America and is working on two more – one of which is about the great New Orleans fire of the late 1700’s and the other takes place in Manhattan (New Amsterdam) in the late 1600’s. In 1981 Chapin joined the American Institute of Architects, thus beginning a long and distinguished involvement with the AIA. He was elected president of the Rochester Chapter in 1984 after being active on several local committees. He also served as a member of the New York State Architects Board of Directors during this time. Chapin was then elected by the New York State AIA as one of their Directors to the national AIA Board, serving from 1987 to 1990. Subsequently he was elected National Vice President for the year 1991, and in 1992 was elected as the 1993-4 AIA National President of the 80,000-member Institute. 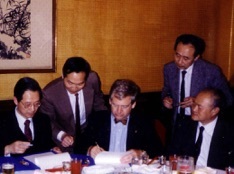 During his tenure he participated in discussions, held in Beijing China, that led to the enactment of the Accord between China and the US concerning international practice issues, and later represented the US in the resolution of practice issues for NAFTA. 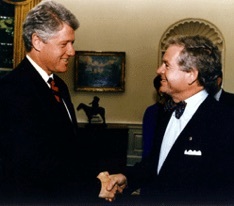 He led the coalition of Professional organizations that met a number of times with President Clinton at the White House to help inform the administration’s universal health policy. During his AIA Presidency and Chairmanship of the American Architectural Foundation he visited nearly half the U.S states and eight foreign countries. At White House healthcare work session with President Clinton. 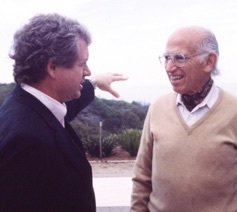 With Dr. Jonas Salk during AFIP Board meeting, La Jolla, California. 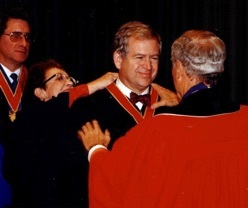 Receiving honorary fellowship from the Royal Canadian Institute of Architects. With Chinese Vice-Minister Ye Rutang at Accord initialling. Beijing.